Very sad but very true commentary on the present state of the LVs. I think the saddest aspect of the this situation is Holly's refusal to admit that the house is burning down after she has douse it with kerosene and lit a match to it. People can give away their seats, which will put butts in seats, but stop buying the seats, and things will change for next season...It's a bottom line business, and if people are content to pay for an inferior product, they will get an inferior product. Holly has no idea how to turn this disaster around. GT is correct we are talking about a business. Holly signed a contract to be the head coach of LV. Simply, she is in breach of that contract. She's not in breach of contract. UT can terminate her without cause, but they won't. They'll work out a soft landing when the AD decides the time is right. And that won't be during the season. If the team cares about making the NCAAT, they have a path to do that, but they're going to have to change things themselves for now. Fulmer has never seen the value and importance of the Lady Vols Basketball program. I completely disagree with this statement. It was Phil Fulmer who used to include Pat Summitt in his campus recruiting routine, bringing recruits around to meet her, knowing how important her towering figure was in the world of sport — even among young men. Phil Fulmer has always understood the value of Lady Vols Basketball. He obviously made an error in judgement in extending Holly's contract, but I don't think he did that out of lack of respect for the program, but was giving the coach who'd coached Tennessee for 30 years the benefit of the doubt. His gamble -- done out of love for Pat and the Lady Vols, NOT out of apathy for the program -- did not pay off, and now he is in a helluva mess. I firmly believe that he will do the right thing and find a way to right the ship. Just not during the season. True story....My wife worked for UT and worked with Pat quite often....She needed some papers signed by Pat and took me along to Pat's office to get them signed....I stood there very quietly as she signed the papers...I knew I was in the presence of greatness and could barely breathe......Pat asked me if I spoke....I was very nervous.....She gave me that stare waiting for an answer....I mumbled something and she laughed and told my wife to keep me, I was OK.....Then she took a basketball out of a shelf, signed it and tossed it to me.....I still have that ball wrapped in a protective wrapping. Of course I realize that, everyone does but that is irrelevant when keeping a coach for one of the school's top sports programs. This isn't 1980 anymore, you can't just simply neglect every other sport that isn't football. You are calling for a BOYCOTT of the Lady Vols basketball games. Stupid. Stupid or not, attendance has dropped nearly every year since Holly has been the HC. This is a "de facto" boycott. The Lady Vols have become the laughingstock of WCBB. Even Auriemma has called the LVs "nonrelevant" as regarding their status as an elite basketball team. He said this in consideration of the renewal of the UT-UCONN series next year. The reason he included Pat Summitt was because she was a major figure in Tennessee sports and Fulmer used every tactic available to help his own program get top recruits.. It was not out of respect for the Lady Vol Basketball program. If you have dealt with Phil you would understand what I am saying. Phil was always known as a good recruiter because he used every means available to get his recruits. All the other SEC football coaches knew it as well. Agree and thought Holly should have been fired last year. But, there were much more important things to get straightened out. After this season, she'll be gone. Is not stupid, to me every fan should do wat ever they want to get their attention and fire holly. I can never call anyone's idea stupid. I don't happen to think "stupid" is the right word, either. In my opinion, "potentially more harmful than helpful" fits the idea perfectly. I completely understand, though, how an idea like that gets off the ground: Money DOES talk. We've all witnessed dozens of successful boycotts over our lifetimes, and often it is the loss of revenue that finally convinces the folks in charge to cave to those who are boycotting. I get it. But in my opinion, even though the tactic might eventually work, the damage it could cause on the way to working might have longterm -- if not permanent -- negative consequences. Having one of the most loyal fanships in the women's game is STILL something that hasn't been taken away. A boycott very well could be mischaracterized as a lack of loyalty -- even if carried out BECAUSE of the intense loyalty. Perception is reality, and I'm not sure I'd want to risk a misperception that resulted in permanent damage to the reputation of Lady Vol fans. 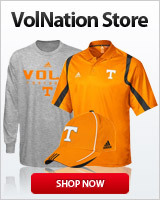 After all, fan loyalty is a huge selling point among recruits Tennessee pursues. A better approach could be, for instance, for even MORE people to attend games IN SUPPORT OF THE PLAYERS, but to plan regular public gatherings outside the arena for those who wish to express their sincere "out of love for the program" concerns about staff leadership. The key would be to make sure the players and the public know that they are, and always will be, there for the players, but that those players deserve MORE than lots of fans at their games. They deserve a coach who knows how to get the most out of the talent on the bench. I am seeing more and more fans not believing in the direction we are going now. The numbers have increased and many more are drawing a line in the sand that we make the NCAA. I figure when that happens ( hopefully it doesn't) the pressure on Fulmer and the AD office with increase dramatically. It all has to play out and I'm not one to hope we lose just to get rid of Holly. I am still hoping she can salvage the season even as I sink lower and lower in despair with each and every passing game. I'm one of them fans that hope we lose it all. She's been loosing anyway, why not lose it all. I see many Tennessee "fans" are proposing BOYCOTTS and PROTESTS of the Lady Vols basketball team, and hoping they LOSE the remainder of their games. Holly is in the house.. I know she owns or borrowed a dowdy dress for pats funeral. She needed the other things I listed she should have for her presser to announce her retirement. I never thought I would live to see the LV at this level especially with a room full of quality players. It is so sad. The folks at UCLA may differ with a lot of your logic..... How long has it been since Wooden? Not saying it is impossible, but I do not think it is EVER a given even at a MECCA... How many shots did it take BAMA post Bear to reach and maintain an acceptable level? Hope CPF has an A list and is working it and makes a move WHEN he as a winner lined up. Not until. Accepting your bottom line is bucks, why don't you and a few of the more prolific posters demanding a change man up and start a Go Fund Me page to collect money to expedite the change. Make it payable to UT if the position is open by say April 1 or the money goes to the Girls Club or other charity or your choice. The money could be used for the buyout or additional salary required to get an acceptable candidate... Might also need one of those sustaining sites at $19 a month to really empower the AD with funds to go big. I would love to see the commitment level from those demanding immediate action from CPF. Maybe the target should be $5 per keystroke to date with additional donations going forward and asking for other non posters that support your position to kick in as well and all report back the level of their donations. It would be out there for the world to see. You know kind of like a petition with meat on the bones. "Make the NCAAT". As a goal seems a low standard. It is a low standard but one that seems totally acceptable by the AD and University.